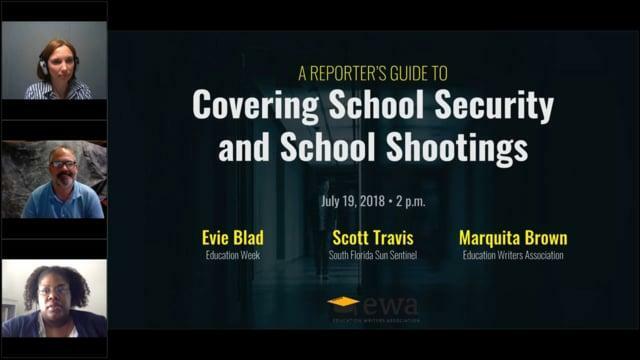 In this EWA webinar, two education journalists offer insights on effectively covering school security and school shootings. They highlight key data to inform coverage and how best to use it, address the debates over preventative measures, and offer tips for nuanced coverage after a shooting occurs. What data and public records should journalists mine to keep tabs on education leaders’ preparation for and response to campus shootings? What are tips for holding education leaders accountable for missteps while navigating the emotional aftermath of campus violence? How can reporters avoid common pitfalls when framing local incidents within a national context? This webinar was presented on July 19, 2018.